The days are longer, the trees are budding, and the air is filled with birdsong. Spring is glorious, so why wait until summer to enjoy a barbecue in the backyard? Plan a fun and festive gathering that makes the most of the season with these seven fresh ideas. 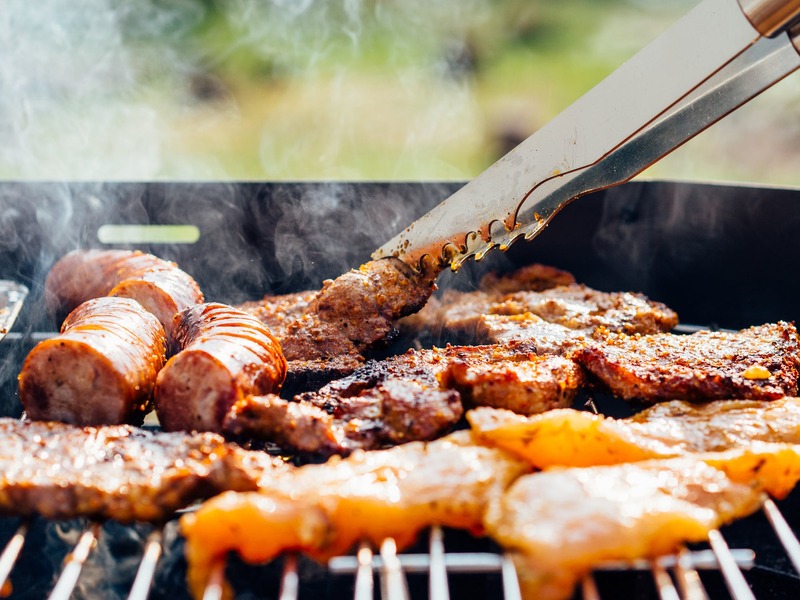 Winter may have done some damage to your outdoor areas, so take the time to inspect your barbecue equipment and patio furniture at least a week before your event. That way, you’ll have time to clean up and replace anything that needs it. Steaks and burgers are crowd pleasers, but don’t be shy about broadening your culinary horizons. Artichokes are in season; they can be parboiled ahead of time and finished on the grill. New potatoes, peas, and asparagus are other spring crops that make delicious side dishes. Choose springtime’s star fruit as the centerpiece of your dessert. Strawberries are at their most plentiful and affordable in spring, and if you’re lucky enough to find them at a farmer’s market or roadside stand, they’ll be extra delicious. Try a fresh strawberry pie, strawberry shortcake, or chocolate dipped strawberries. Better yet, serve all three! Customize a playlist to set the tone of your gathering. Do you want guests to dance or have intimate conversations? Do you want to make kids giggle or keep them calm? Deciding on the music will help you choose what kind of ambiance you want to create for your barbecue. Plan backyard fun and games to keep kids–and grown-ups!–happy while waiting for the food to be ready. Put a classic game like horseshoes on one side of the yard and something unexpected like giant dice on the other side. On a quiet side table, set up a checkers board. To keep your youngest guests content, set a kids’ table with bubbles, crayons, coloring books, toy cars, and other small surprises to keep little hands busy. Spring afternoons sometimes mix sunshine with a cool breeze, and spring evenings can be downright chilly. Make sure everyone stays comfortable by providing cushioned seats, throw blankets, a space heater, and a few extra sweaters or sweatshirts for guests to borrow if needed. No matter the temperature, a fire feature makes the perfect focal point for your backyard gathering and provides heat when needed. 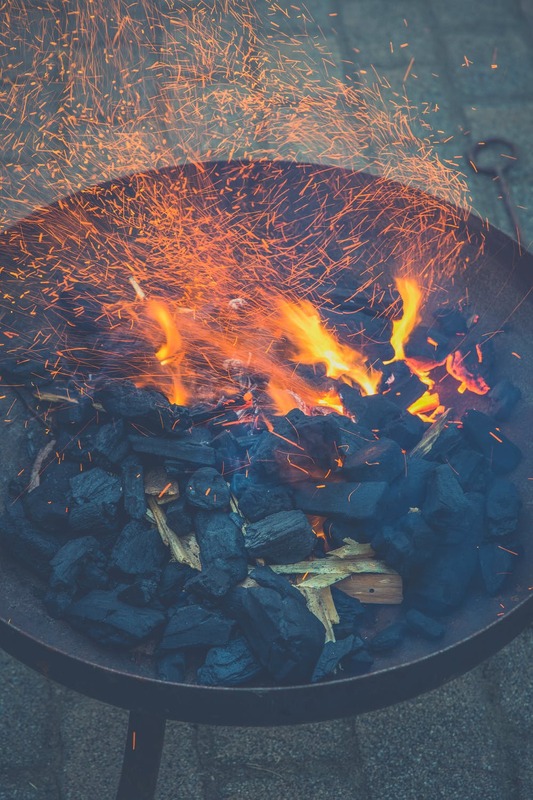 Prepare your fire pit by cleaning out any residual ash and building up the kindling and firewood before your guests arrive. Add candles around the seating area for extra visual warmth. No matter the menu, your guests are sure to appreciate a springtime gathering that makes the most of the warmer weather and blooming plants. Whether you host a big party or just cook for the family, have fun planning your backyard barbecue!